40% Silver Bag - Best Prices + Free Shipping = Happy Customers! 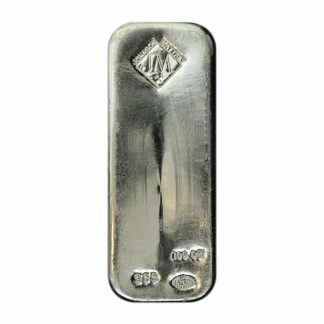 The $1000 Face 40% silver bag is one of the great undervalued silver bullion investments because of low premiums. 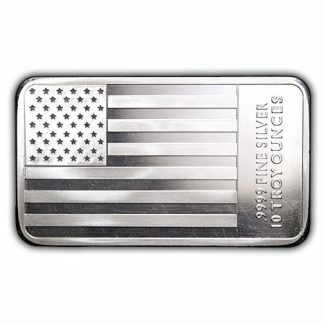 Real silver coins produced by the US Mint have been popular silver bullion choices since the early 1970’s. And the last big production run released for US circulation was the Kennedy clad half dollar. The Kennedy 40% silver half dollar was minted between 1965 and 1969 to commemorate President Kennedy. The reverse of this silver coin depicts the presidential coat of arms. This 40% silver half dollar was popular with the public and so the US government minted more than 834 million coins at both the Philadelphia and Denver Mints. Like $1000 face 90% bags these $1000 face 40% bags follow the price of silver on world exchanges. And because the 40% silver Kennedy half dollar enjoys universal acceptance GoldDealer and other major dealers post daily buy and sell bag prices. The $1000 face 40% silver clad bag contains 295 ounces of pure silver. 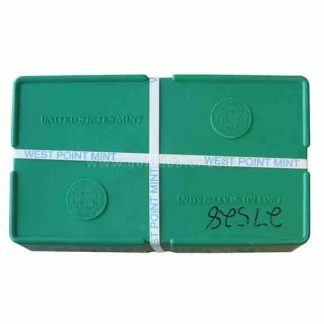 Often overlooked is the fact that this silver clad bag also provides 440 ounces of pure copper. This copper content is not important now but “if” the price of copper rises substantially in the future it could turn out to be an important hidden benefit you received at no additional cost. 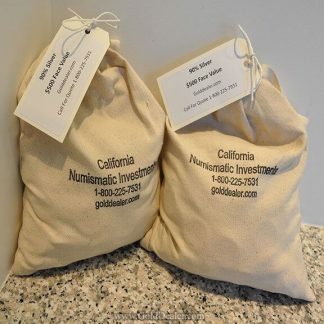 So the versatile $1000 face value 40% silver bag provides many advantages: (1) the silver “premium” or the amount of money you pay over spot on clad bags is the lowest of all the major bullion choices: lower than Silver Eagles, lower than 90% bags and even lower than 100 oz bars. (2) The clad half dollar is U.S. legal tender so if our paper currency is challenged this substitute would make a perfect “default currency” or silver barter coin. 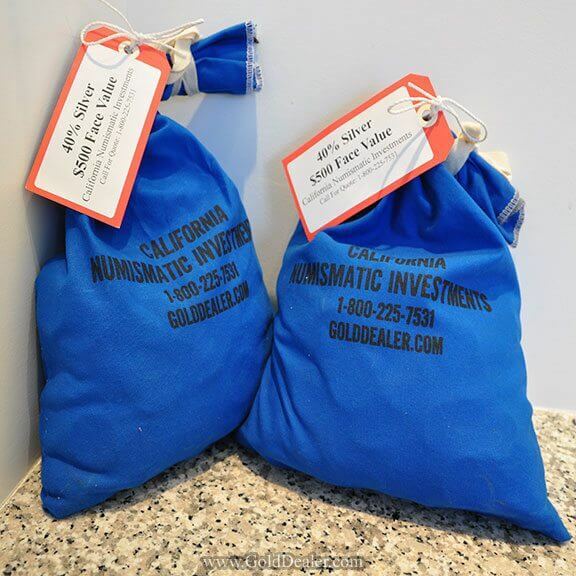 (3) These bags offer the divisibility of smaller silver coins which is a big plus and gives the investor greater options when selling. (4) Unlike $1000 face 90% bags the 40% silver bag is not reportable on Federal Form 1099B when you sell. (5) Because 40% silver coins were minted by the US government they are recognized and accepted worldwide as to purity and silver content. The $1000 face 40% silver bag is divided into two distinctive blue canvas bags each containing $500 face to make handling, storage and identification easy. My order was shipped fast and the coins were in good condition!